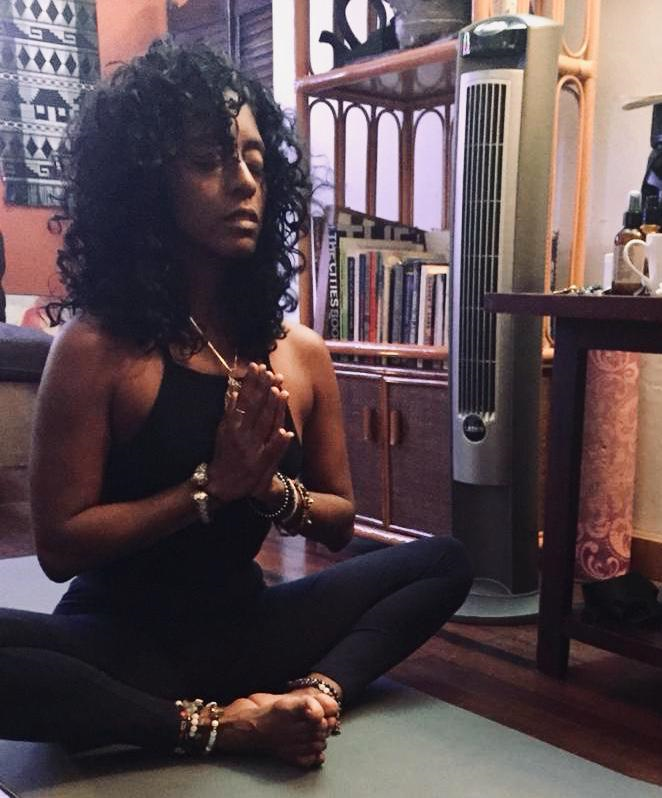 Actress Ayanna Cezanne says meditating has been a powerful addition to her routine. MINDFULNESS can be practised at anytime, anywhere. The most basic mindfulness practice can be washing the hands – focusing on the water cascading over the hands. To heighten the experience, you can close your eyes and take deep breaths while focusing on the sensation while emptying your mind of all other thoughts that may try to enter. Actor Ayanna Cezanne, who describes herself as a “soul adventurer,” said, “Mindfulness is more about not thinking – quieting the mind and going within. Going within, we find so many things that we allow our minds to race with, causing us to overprocess and overthink.” Cezanne practises mindfulness anywhere, anytime, and does yoga at home and at a OneYoga in Port of Spain. Mindfulness and meditation have been buzzwords in the media and popular culture. This is possibly due to the growth of the yoga community and the expansion of what is generally referred to as new age spiritual movements and greater need for coping mechanisms in an era when cases of depression and anxiety continue to increase. The power or lack thereof behind the practice has been up for broad discussion ­­– explored recently by O Magazine, Self Magazine, Time Magazine and Psychology Today. How much are mindfulness and meditation practised in TT? Are they merely another fad? And do they really work? Mindfulness is defined as a mental state achieved by focusing one’s awareness or attention on the present moment, while calmly acknowledging and accepting one’s feelings, thoughts, and bodily sensations. It is widely used as a therapeutic technique. Mindfulness and meditation therefore tend to go hand in hand. Meditation is defined by the Cambridge dictionary as the act of giving attention to only one thing – either as a religious activity or as a way of becoming calm and relaxed. The concept adopts principles from ancient Buddhism, and was popularised in the 1980s by the founding director of the Stress Reduction Clinic at the University of Massachusetts Medical School, Jon Kabat-Zinn. He practised Buddhist meditation techniques to create what he referred to as mindfulness-based stress reduction. 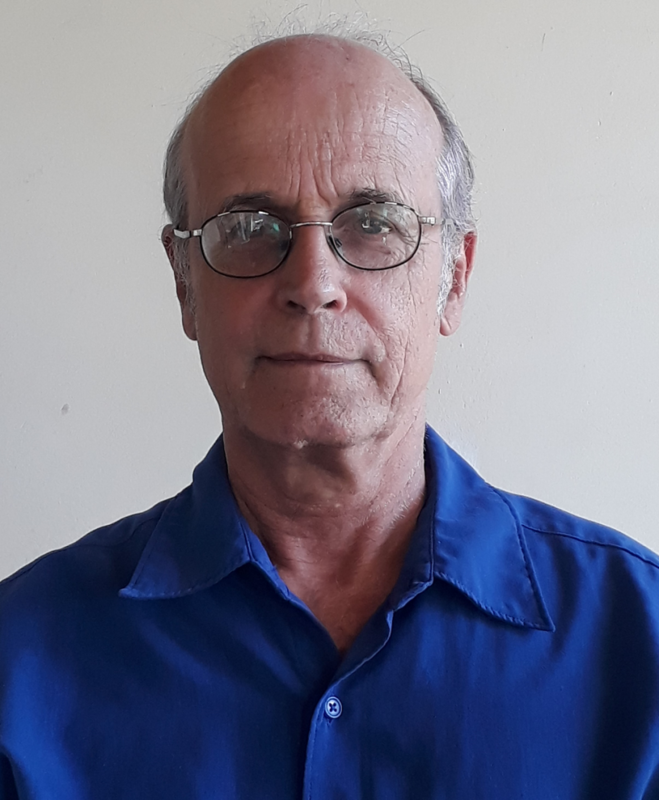 Local psychotherapist Julian Stollmeyer, who has 30 years of experience in psychotherapy and specialises in stress reduction, has been an instructor in mindfulness for over 40 years. Psychotherapist and mindfulness teacher Julian Stollmeyer has been practicing mindfulness and meditation for over 40 years, and specialises in using minfulness for stress reduction. Though he was not able to provide statistics, Stollmeyer said meditation in TT has increased over the years, becoming more popular than it was seven years ago. The most recent reports by the World Health Organization on TT, from 2017, say approximately 67,614 people suffer from depressive disorders – 5.2 per cent of the population, a figure which is likely to have increased based on recent findings which declared TT the 14th unhealthiest country in the world – depression being one of the factors. Stollmeyer said there is a lot of overlap between mindfulness and meditation, as mindfulness is one of the most common forms of meditation. Executive editor of the Harvard Heart Letter Julie Corliss, in an article entitled Mindfulness Meditation may ease Anxiety, Mental Stress published in 2014, made reference to a study on mindfulness in which researchers from Johns Hopkins University in Baltimore went through approximately 19,000 meditation studies and found mindful meditation can help ease psychological stresses like anxiety, depression, and pain. Stollmeyer, who teaches mindfulness techniques to men in prison, said prisoners with whom he works have shown indications of improved anger management. Stollmeyer recalled another prisoner who had been helped. This prisoner had murdered his mother, and was haunted by the emotions that came with confronting what he had done. Cezanne said for her, mindfulness also means having accountability. She said the measure of accountability and being able to see oneself from an external/ third-party point of view is helpful in her meditation. Stepping outside herself gives her the opportunity to forgive herself and to be truly present. She said the art of setting the mind right and quieting the noise is a concept that has spread throughout the world among all age groups. Stollmeyer is slated to launch a mindfulness-centred business venture, where he will do mindfulness training sessions for individuals and groups. Reply to "Mindfulness and meditation"